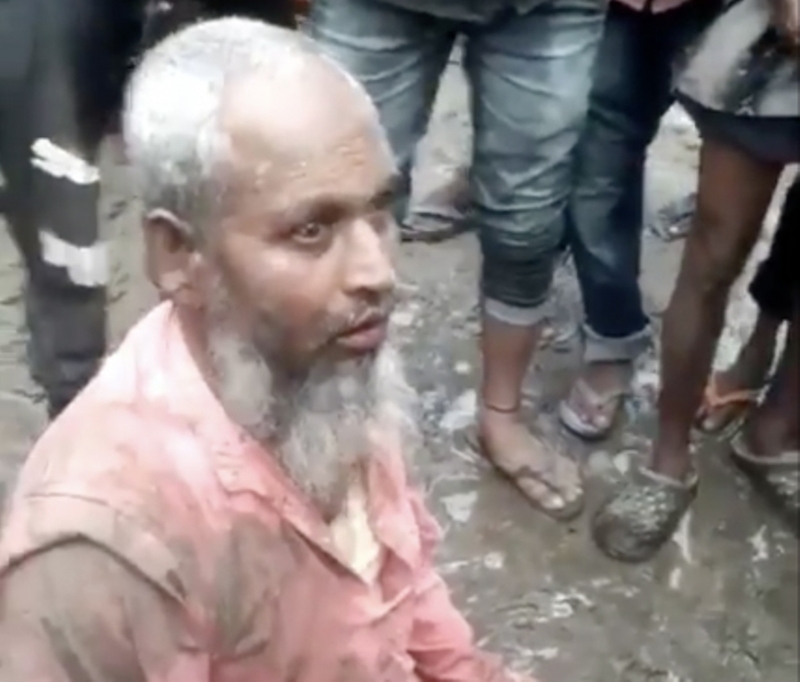 Guwahati: A 68-year-old Muslim man was allegedly beaten up by a mob and forced to eat pork for selling beef in Assam’s Biswanath district. The incident took place on April 7. According to the reports, the victim, named Shaukat Ali, had been selling beef at the weekly market for the past couple of years. On April 7, a mob beat him up and asked his why he sold beef and if he had the requisite licence. He was also asked if he was a Bangladeshi and if he had his name in the NRC (National Register of Citizens). The elderly man was seriously injured in the attack. Assam police have registered a case and detained five persons after some videos of the incident were circulated on social media..
A top police official said an FIR had been registered at Biswanath police station vide case no 80/2019 under section 143/341/325/294 (A)/295 (A)/153 (A)(B)/384 of IPC. “Police has already detained five persons for their alleged involvement in the incident and we will take action as per law,” the police official said. The incident took place in an area under the Tezpur Lok Sabha constituency that will go to polls on April 11.